Danish coach has announced he will return home after the conclusion of the current season. 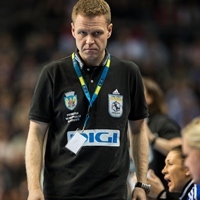 After winning the EHF Champions League, the Norwegians announce Ole Gustav Gjekstad as new head coach. Larvik´s coach Tor Odvar Moen talks to ehfCL.com after the EHF Champions League Final.